Plant in full sun and water in well allowing it to dry out between waterings. 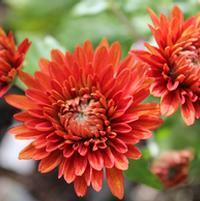 Likes moist but not waterlogged soil. 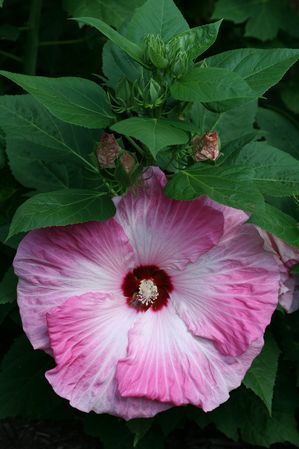 • Giant 12" Pink and White Swirled Flowers! • Medium Green Ovate Foliage! 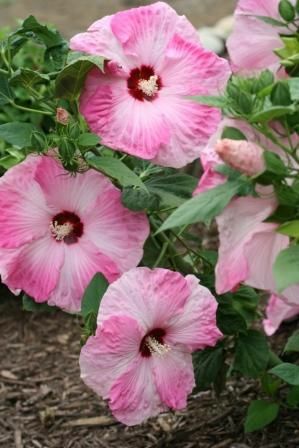 • Great for a Specimen or Mass planting! • Hardy to -30 F! Strawberry Swirl is an amazing bloomer producing some of the biggest flowers we have. 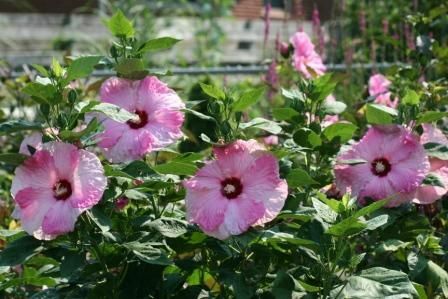 Give your landscape a little flavor and be the envy of your neighbors with incredible Hibiscus.